Installing Microsoft’s Hyper-V Server is free and quite straightforward. First you need to have a spare physical computer. 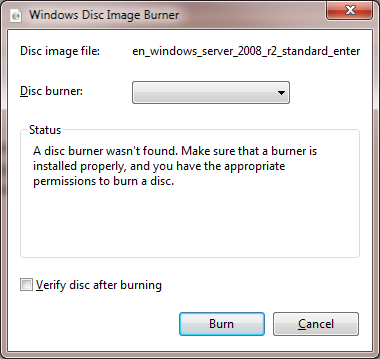 Then insert the DVD and install Hyper-V using the default settings. In order to install Hyper-V inside a VHD and then boot from it, follow these instructions. BackupChain backup software is an all-in-one server backup solution, which is also offered as a workstation backup for Windows 10 and older systems. In addition to HyperV backup, BackupChain also provides several other types of backup for virtual machine, such as backup for VMware and VirtualBox backup. For all virtual platforms, BackupChain can backup virtual machines while running without shut down or interruptions. As a cloud based backup solution and backup for Windows server, BackupChain is both online and offsite backup in one solution. When you backup data storage, you can also use version backup, which keeps track of all changes made to documents and other files, and create incremental or differential backups using deduplication for additional storage savings. Additional services are also covered. Are you using Exchange or SQL Server? You can use BackupChain as your Exchange backup software and create automatic Microsoft SQL Server backup cycles on a schedule. Many users like to combine offsite and network backups and use BackupChain as their FTP backup software and backup software for NAS. All NAS devices are supported. We also maintain a list of freeware for servers to assist the system administrators with their daily tasks. One of our freeware, named DriveMaker, offers the ability to map an FTP server as drive.